How to hotels, restaurants, attractions, airlines, entertainers and cruise ships use social media to connect with tourists? Listen in to find out. 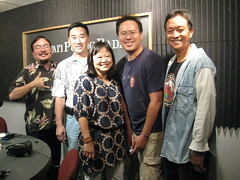 Thanks to Burt Lum (Twitter) and Ryan Ozawa (Twitter), the hosts of the long running tech show called “Bytemarks Cafe” on Hawaii Public Radio. At the Hawaii Tourism Conference in Oahu two weeks ago, I had the pleasure of presenting a primary research findings from a project Altimeter was contracted to do (with my colleagues Alan Webber and Christine Tran) on the socialgraphics of Hawaii tourists. I was joined on the call by Kara Imai (Twitter), head of digital and therefore social media at Hawaii Visitors Convention Bureau (HVCB) who hired us for this primary research project. Listen in to this podcast to hear how social media impacts tourism, especially for marketing destination organizations. We get past the news and start jumping into this topic at 20 minutes into it. Finding out how your target customers use social media (Disclosure: Altimeter was hired by HVCB to conduct socialgraphics research), and where they are online is the first step in a social business strategy. We call this socialgraphics, learn more about it here. What happens at the destination (and how people rate their experience, even in real time) is a form of marketing. True to living social media and travel research, I uploaded pics, which we found in the research is common, if you have questions on the whereabouts leave a question in Flickr and I’ll respond. Someday, I hope to make Hawaii a second home, yet see my current personal goal called #OperationBluewater. I’m at 10/30 days this year.